Brain Food – Junk Food may lower IQ. As parents we are keen to get our children the latest educational toy, send them to the best nurseries and pre-schools and give them the best preparation for school that they can. A research study conducted by the University of Bristol released today suggests that diet at the age of 3 may have an effect on how intelligent our children are at the age of 8. The study bases its findings on participants in the Avon Longitudinal Study of Parents and Children (ALSPAC) which tracks 14,000 children born between 1991 and 1992. It suggests that a diet of predominantly processed, high fat and sugary foods up to the age of 3 may lower IQ at the age of 8.5. In contrast A diet rich in vitamins and nutrients may do the opposite. Parents were asked to complete diaries outlining the food and drinks their children consumed at age 3, 4, 7 and 8.5. IQ was measured at the age of 8.5. After taking other influential factors into account it was found that children with a predominantly processed diet at the age of 3 were associated with a lower IQ at the age of 8.5, irrespective of whether their diet had improved by that age. Similarly children with a healthy diet at age 3 were associated with higher IQ’s at the age of 8.5. Diet at the ages of 4 and 7 had no impact on IQ. Though the findings are modest, the results are in line with previous research which shows that quality of diet at the age of 3 is related to school performance and behaviour. A possible explanation is that the brain grows at its fastest in the first 3 years of life, therefore good nutrition may lead to optimal brain growth. So much marketing is aimed at parents and children, making parents feel guilty that they are not buying the child the latest ‘educational’ toy or taking them to classes to improve their language and social skills. So why not use this as an opportunity to market nutritious food for the youngest children as brain food. Three years isn’t that long a time to limit processed foods and it sets children up with good habits for life. So maybe next time my 2 year old is nagging for a biscuit or sweet I’ll suggest a healthy alternative – ‘ Have some special magic food , it will make you clever’. Parenting – the most difficult job in the world? I am a bit of a ‘netmums’ addict. Today they launched their REAL Parenting campaign, recognising that we should all stop trying to be a ‘perfect’ parent and to relax and do the best we can in our own situation. As all parents know , raising children is full of ups and downs. There is nothing more wonderful than watching your child grow and acquire new skills, they make you proud in so many ways. With all the joy and love that children give they also take from you a great deal. They take your independence, sleep, money,time, energy, appearance to name but a few. So why not be realistic and honest for a change – parenthood can be great but its also damned hard work and if we strive to be perfect parents won’t we always leave a little of ourselves behind? My attitudes to parenting have changed a lot in the past 7 years. When my eldest daughter was born I had high expectations of the type of parent I would be. We used real nappies, had home made baby food and no sweets much before the age of 2, she was exclusively breast fed for 8 months and followed a strict routine. As an early years teacher I was keen to involve her in lots of creative messy activities , it was rare that you would leave our dining table without bits of glitter stuck to your clothes and she only watched television if I sat with her and we talked about it together. My 2nd child followed a slightly less strict routine, was weaned on finger food because she wasn’t interested in my healthy mush and developed a penchant for ice-cream. She has therefore had sweet things from little after 6 months of age. She watches television with her sister and ‘Charlie and Lola’ is the perfect vehicle for keeping her occupied when you want to get on with things. She is in disposable nappies by the age of 2 and rarely paints, glues or plays with dough and clay. My 3rd wears a mix of disposable and real nappies, has been introduced to one formula feed a day by 3 months old, and has fallen into a pattern of co-sleeping. With the first 2 children I didn’t return to work until they were almost 2 year old and was happy to stay at home. This time I’m really looking forward to going back into the adult world again and building a life for myself. Does this make me a worse mother? I doubt it , surely a happy and fulfilled person will be best equipped to raise happy and fulfilled children. My attitudes to parenting have changed , I feel a more relaxed parent (as much as one can be when juggling 3 small children) and have come to the conclusion that if you pressurize yourself too much about how you should behave as a parent , then somehow you lose a part of you. When all concept of who you were before has gone everything suffers, relationships break down, self esteem crumbles and you find yourself talking about the price of nappies and which level of spelling your child is on. Give yourself a break, we are good parents, our kids will be fine if we instil in them basic values , love them and listen to them. Don’t give up everything for them , look after yourself or what will be left of you when they are gone? ‘Can I sing on the microphone?’ Recording children’s voices. Since investing in a Samson C01U Studio Condenser USB microphone, this has been a regular request from my 2 year old. It was originally intended as a means of recording music and voice for rehearsal purposes, for listing on audioboo or creating cd resources. However, once my 2 year old had tried it out , she was addicted. She sings into the microphone and then sits down to listen to it back. This got me thinking about how it would be an extremelly useful resource for schools and nurseries for both music and literacy. Older children could be encouraged to record and edit their performances (we use audacity for this) and would be especially useful in the teaching of dynamics. I recently attended a talk about Vivian Paley’s ideas for creating story circles. 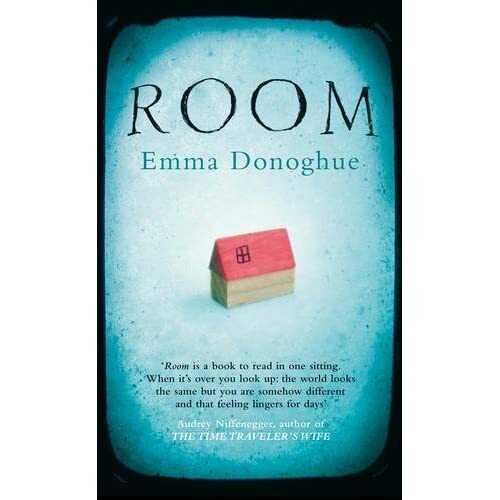 In these young children tell their stories to a teacher and then the group come together to act them out with the author taking the main part in the story. There was some discussion as to how time consuming it was to record the stories in written form . If the stories were recorded into a computer and converted to mp3 format this would enable the stories to be recorded quickly and easily and if my 2 year old is typical , I would also imagine that most children would be eager to have a turn. It would also help to build reluctant writers storytelling skills without the anxiety of having to write it down. Since children’s ability to tell a story verbally is a pre-requisite to story writing then this would be a wonderful tool for children in their first years of school. 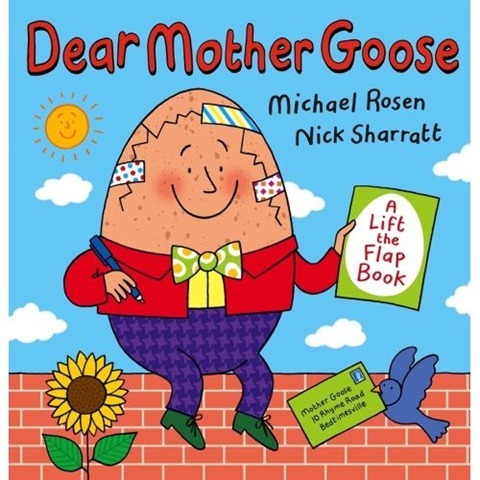 My 2-year-old has discovered a new favourite book – ‘Dear Mother Goose’ by Michael Rosen and Nick Sharratt. This has a new and interesting way of introducing traditional nursery rhymes. A variety of nursery rhyme characters write to mother goose to see if she can help with problems that happen to them every day. Little Miss Muffet for example asks how she can stop a spider appearing when she eats her curds and whey. Each letter has a flap with the appropriate nursery rhyme on the reverse and a picture flap page opposite illustrated with the problem and solution. Within a few weeks my 2-year-old has learned all the nursery rhymes and has even taken to singing and recording them into a microphone (but that’s another story). The book is a decent size so would be good for group reading in a nursery or pre-school.